2017 Ford Focus RS For Sale in Vernon, Kelowna, Okanagan, BC. Enjoy the lively power and quick handling of the 2017 Ford Focus RS. Through its striking four or five-door exterior with spacious seating for up to five individuals, this vehicle delivers non-stop adventure and an alluring presence on the road. Immense attention to detail is revealed with the interior of the 2017 Ford Focus RS as you surround yourself with elegant details such as ambient lighting and unique RS carpeted floor mats. Convenience is enhanced through Intelligent Access with push-button start as you unlock your doors and start your engine without removing your keys from your pocket or purse. 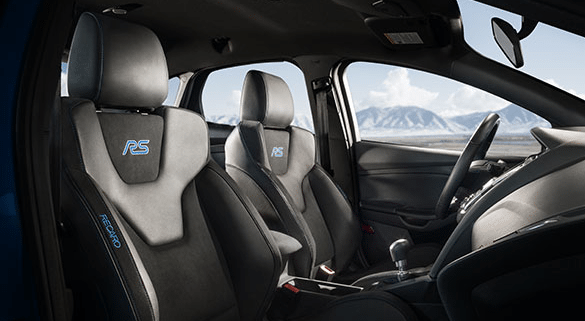 Relax on the heated Recaro Leather seats with Miko-Dinamica inserts and an RS logo for an experience unlike any other. Refined details emerge with the Unique RS leather-wrapped and alloy gear shift knob as well as the leather-wrapped and heated steering wheel, offering mounted controls for access to your settings without compromising your focus. Keep your passengers satisfied with the help of the Dual-Zone Electronic Automatic Temperature Control as it enables you to set and maintain two different front temperatures at the same time. Flexible solutions such as the 60/40 fold-down rear seats are found throughout, as you bring along everything you need and more. With the stunning exterior of the 2017 Ford Focus RS, every detail has a purpose. You are given advanced illumination through the automatic quad-beam halogen headlights, LED signature lighting with dedicated daytime running lights, LED taillights and unique RS black fog lights. Experience superior aerodynamics with the unique RS front grille, rear diffuser and unique spoiler as you cruise with zero lift overall and optimized handling. Make the most of the good weather with the power moonroof as you let in fresh air and natural light. 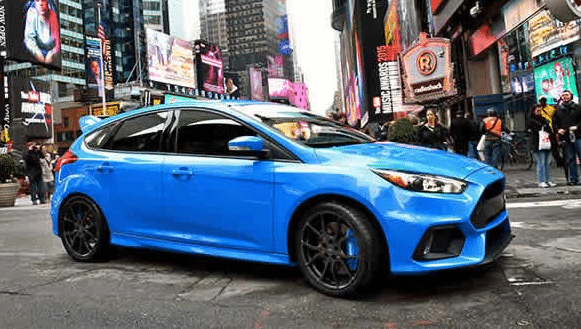 Providing modern entertainment and connectivity is the 2017 Ford Focus RS, where you are given all the benefits of the latest technology without distraction from the road. Enjoy the SYNC 3 infotainment system as it provides Bluetooth capability and enhanced voice recognition. You are also able to enjoy an 8” LCD capacitive touchscreen and a Sony Branded Audio System with ten speakers. Customize your 2017 Ford Focus RS through a vast selection of Genuine Ford Parts and Accessories. Express your personality with enhancements such as the sport pedals or rear winglet spoiler as you increase sportiness and style. Door sill plates and hood protectors work to keep your vehicle looking new as you bring it all along through a variety of storage compartment selections. Hold nothing back as you step inside the most coveted powerhouse of the year, the 2017 Ford Focus RS. Featuring an array of advanced handling innovations, including Ford Performance All-Wheel Drive with Dynamic Torque Vectoring, you can take on more and enjoy every thrilling moment with ease. Customize your capability to match your surroundings with unique RS driver-selectable modes and sport suspension while the 6-speed manual transmission delivers outstanding responsiveness and control. Known as the world's number one rally car, the 2017 Ford Focus RS is changing the game, as we know it. Featuring a highly anticipated design and tremendous power, you can explore with performance freedom. 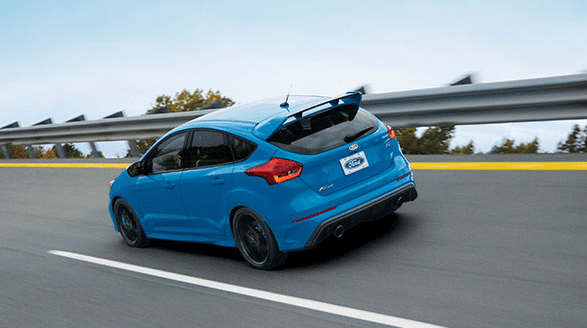 Check out the 2017 Ford Focus RS at your local Vernon Ford Dealer – Watkin Motors Ford. Watkin Motors Ford is pleased to offer a range of services and vehicle to meet your everyday needs!